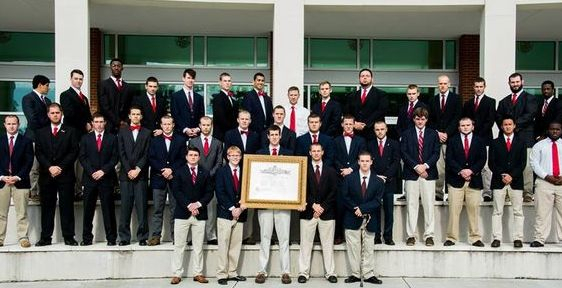 The Omicron-Iota Chapter of Kappa Sigma was chartered on Armstrong State University's campus on April 1, 2006. Since its founding, our chapter has been producing alumni that uphold the four pillars of Kappa Sigma: Fellowship, Leadership, Scholarship, and Service. All members of our organization are striving to become better both inside the classroom and out. We pride ourselves on our high standard for grades and being gentlemen. We are an active organization both on Armstrong's campus as well as in the community. We are the largest Fraternity on campus and live by our Motto- "Number One, Second to None." Please feel free to browse our website and let us know if you have any questions or would like to become involved in our Chapter of Kappa Sigma at Armstrong State University. For more information and to stay up to date with everything we are doing Like us on Facebook or Follow us on Twitter and Instagram above!